When one uses any mode of transport, accidents are bound to happen. Accidents occur because of negligent mistakes but the effects of the same are lasting and lingering. There have emerged and are emerging so many accident cases, that it has become to keep track of them. Road accidents, rail accidents and aircraft crash landings are accidents that everyone today has become accustomed hearing about. In a similar manner, even maritime accidents occur, casualties are caused and damages have to be borne. However, unlike in the former three cases, there are several possible types of maritime accidents. The oceanic area is very vast and therefore the variations in accidents are also numerous. The effects of the occurrences of marine accidents include not just humans but also the marine creatures and the marine environment and ecosystem. 1. Offshore Oil Rig Mishaps: The recently occurred oil spill in the Gulf of Mexico is an offshore oil rig accident. 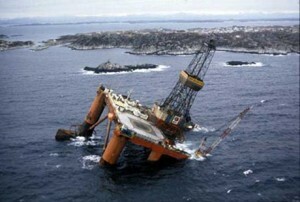 Offshore oil rigs constitute great danger in terms of their heavy machinery and the complexities of the processes involved. Even a minor error by way of negligence of a simple process or overlooking in the working of a machinery part can lead to immense damaging consequences across the world. 2. Cruise Vessel Mishaps: Cruise vessels form a very important part in the vacation itinerary of people. However, a major type of maritime accident occurs in cruise vessels. Cruise vessels could capsize or face tough weather conditions causing the ship to develop major problems. Another important case of accidents in cruise ships is because of the negligence on the part of workers. As per statistical data nearly 75% of fires are caused because of a mere mistake by people working on the cruise ship. 3. Commercial Fishing Mishaps: Even fishing for commercial purposes can lead to fatal incidents being caused. Inexperienced fishermen – sometimes even experienced ones – can fall overboard. Harsh weather conditions can also could severe damages to a commercial fishing expedition. 4. Accidents on Tugboats: Tugboats are those which help move huge ships to enter docks. They are small in nature but are powerful to ensure that the large vessels are handled safely. But sometimes because of the blockage of the visibility of tugboats by the larger vessels, maritime accidents occur. Also human error on the part of the pilot of the tugboat can also lead to unwanted and unexpected tugboat mishaps. 5. 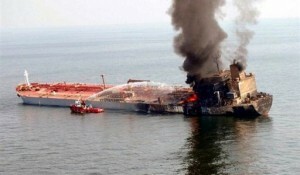 Accidents on Crude Oil Tankers and Cargo Ships: The major cause of accidents on cargo tankers is explosions. Since the very nature of the materials these tankers transport is dangerous and highly flammable, even the most minor of explosions can cause enormous losses. According to statistics, one of the main reasons for oil tanker accidents occurring is because of workers’ negligence – nearly 84-88%. 6. Grounding of Ships: Ship grounding occurs when the bottom of the ship’s hull scrapes through the ocean-bed. This type of maritime accident has a lot of impact on the ship’s hull and more on the overall oceanic area where the grounding has started to occur and has finally culminated. The danger to workers aboard the ship is another important consequence because of the mishap. 7. Maritime Accident because of Drugs and alcohol: Drug or substance abuse is a major problem across the world. Even in the marine world, substance abuse can cause irreparable damage. If the workers of a particular ship engage in substance abuse or alcohol, the addiction-induced frenzy could cause the worker to behave erratically and thereby lead to an unwanted maritime accident on board ships. 8. Crane Mishaps: Just like crane operations on the land, marine crane operations on ports and on ship are also risky. The risk is further stressed because of the oceanic operations where the cranes are required. Because of faulty wires or winches, crane workers can lose their life or in a worst case scenario, be alive but with irreparable physical handicap. Alternatively, accidents because of crane operations are also caused because of negligence and inexperience on the part of the worker. 9. Accidents in Shipyards: The shipyard is the place where the ship is assembled and constructed in its entirety. Fitting and welding accidents are common in the shipyard which could spare the worker his life but hamper the worker’s overall working abilities. Similarly constant inhaling of poisonous fumes also becomes another shipyard accident cause. 10. Maritime Accidents on Diving Support Vessels: People who want to explore the mysteries of the deep sea use a diving support craft to take a plunge into the water. However if the diving support craft is unfit and if the crew also happens to be really unfit to oversee and manoeuvre the whole operation effectively, a major accident can be caused. 11. Accidents on Barges: Barge mishaps occur mainly because of the overall build of the barges themselves, which allows them limited movement on the water and because of the problems of the barge-towing equipments. These problems could be caused due to inexperience on the part of the person at the helm of the towing boats or due to usage of faulty towing cables. 12. Cargo Hauling Accidents: Cargo hauling maritime accidents are those accidents caused to workers who work as cargo haulers. However, according to several maritime accident investigations, it has been reported that cargo hauling workers overstate their cargo-hauling injuries. The maritime accident investigation, consequentially reports that because of this, this profession has one of the most severe rate of work-place absenteeism. It can be seen from the above mentioned types of maritime accidents, that mistakes on the part of the workers and operators play a major role in the accidents being caused. But in order to find out what was the actual cause of the marine accident, a maritime accident investigation is necessary. Maritime accident investigation will help to narrow down on the actual cause of the accident which will help the injury claimants to claim their rightful due with absolute clarity.